Adhesive for EIFS (exterior insulation and finish system) - MUHU (China) Co., Ltd.
M400 type exterior insulation adhesive is designed for bonding the expanded polystyrene board on the primary wall. It is a water-based elastomeric coating, which utilizes the latest technology to resist severe weather condition, chemical eroding, etc. It is a white emulsion with single component system.In addtion to this product, water and dry mortar provided by manufacturer are added by a certain percentage in the construction site according to the instructions. 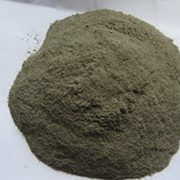 Premixed , polymer reinforced cement based dry material . Good properties of bonding , sag resistance, water preservation. Water resistance, anti-ageing and easy operation. No poison pollution. Adhesion among wall substrate and polystyrene foam panel in EIFS, XPS extruded sheet, marble, tile etc. All kinds of wall made of concrete, cement mortar, tile substrate etc. It has high adhesiveness to any kind of substrate. 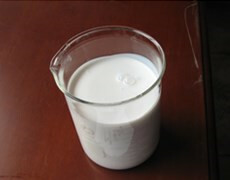 The adhesive strength is 2 to 10 times of ordinary cement mortar. 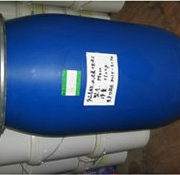 It has high tenacity performance, applicable to substrate extension or shrinkage. No crack would appear with shape varies. 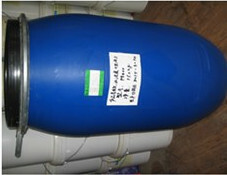 High freezing & thawing resistance performance. No fissure in the waterproofing layer. It can be applied in the surface of moisture substrate with no side effect to adhesiveness between waterproofing layer and substrate. The waterproofing layer can have different colors. 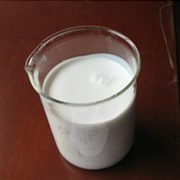 It is an environmental friendly coating with high salt and alkali resistance performance. Proportionally mixing evenly (stirring into a paste shiny adhesive). A grass-roots level should meet the relevant requirements. There is no grease, release agent, bulge or weathered debris on the surface. According to point box bonding method, mixed bonding material is coated on polystyrene board. Mixed cement gum is applied in a circle around the board, its width is 50mm, and there are five points evenly painted in the board center. The area should be not less than 30% and then the polystyrene board is directly attached to the wall to gently rub around. The polystyrene board should be smooth paved. (Note: be not too much in one time; be used instantly after being mixed; and it is best to be used within 2h). The construction temperature is not lower than 5 ℃, the wind is not more than 5, and can not construct in the rain. Be stored in shade place more than 5 ℃; Prevent cold; Shelf life is one year. Be transported according to “rules for non-dangerous goods “.